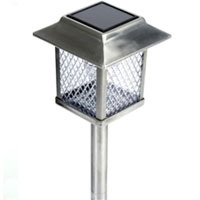 These huge, reliable, energy-efficient, low-maintenance solar lights add a charming, decorative glow to your driveway, patio, or flowerbeds. 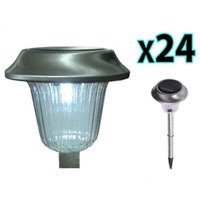 Each Gently luminous light kit is made of durable stainless steel for years of use. With our latest improved solar panel, it provides better performance but at the same time consumes less energy and for longer use. 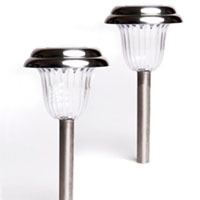 Light assemblies, stake sections, connectors, and durable ground spikes are included. 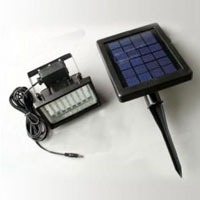 The solar panel converts sunlight during the day time and recharge the battery. At night the light turn on automatically. 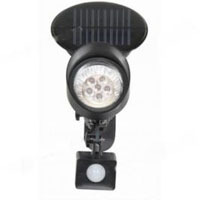 The independently operating lights have an average run time of up to eight hours depending on weather condition (no power cord is needed). 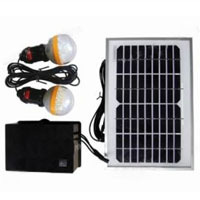 Solar Panel with Frame: 6" x 6"
Lens Size: 4" x 4"